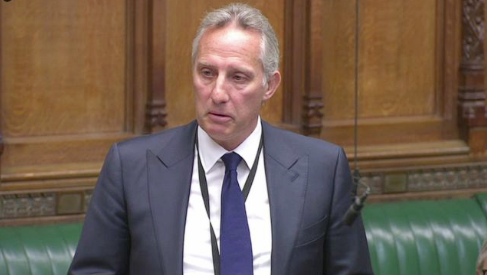 DUP MP Ian Paisley has been suspended from the House of Commons for 30 sitting days – his party immediately also suspended him for an unspecified period pending its own investigation. The North Antrim MP’s punishment follows his failure to declare two lavish family holidays paid for by the Sri Lankan government, following which he wrote to the then Prime Minister supporting the country in its bid to block a UN investigation of its human rights record. The Seaker of the House of Commons described it as “a regrettable state of affairs”. A petition is to be opened ,which, if signed by 10 per cent of the North Antrim electorate will lead to a by-election and Mr Paisley being forced to stand down. Sir Kevin Barron, chair of the Standards Committee, who delivered the findings, concluded that Mr Paisley was guilty of “serious misconduct and his actions were of a nature to bring the House of Commons into disrepute”. Sinn Féin North Antrim MLA Philip McGuigan said the DUP cannot dismiss the fact that its Mr Paisley lobbied in defence of a regime with a shocking human rights record. “Much of the focus of the Ian Paisley scandal has revolved around his failure to declare two lavish family holidays paid for by the Sri Lankan government,” he said. “That is understandable given the focus on integrity in government following the DUP’s involvement in a number of scandals including RHI, Nama, Red Sky and dark money for Brexit. “These have all severely damaged public confidence in the political institutions but this latest scandal also calls into the question where the DUP stands on fundamental questions of human rights. “Amnesty International has said that serious human rights abuses were committed with impunity by the Sri Lankan regime during the conflict there. “Yet, after receiving his gifts from the Sri Lankan government, Ian Paisley actively lobbied the British Prime Minister to oppose a United Nations resolution to establish an international investigation into the human rights abuses in Sri Lanka. “Does the DUP leadership really believe that it is acceptable to dismiss the fact that one of its MPs lobbied in defence of a regime that carried out mass murder, war crimes and gross human rights abuses?